Drain and sewer Cleaning in Queen Creek, AZ. It is just a matter of time before your drain becomes fully blocked. Already the water takes a long time to drain from your sink, in the shower and even your toilet is not working properly. At first you thought it might be one of the drains that was blocked. Now that all the sinks, shower and tub drains are draining slowly, you know you have a more serious problem. Drain and sewer Cleaning in Queen Creek, AZ. is one of the many tasks we help consumers with every day. 4fathers plumbing and home services can help you with simple drain clogs to more serious sewer cleaning requirements. Don’t wait to make the call for help. 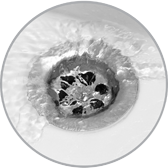 If your drain becomes totally blocked, you may end up with a flood of dirty water in your home. This is not only very uncomfortable; it can cause a lot of damage which is expensive to repair. Our technicians will check all your drains to make sure that they are not clogged. If this approach does not clear the problem, we can also check your main sewer line to confirm where the blockage is and what steps to take. Drain and sewer cleaning is completed in a step by step approach to confirm where the blockage is. Sewer blockages can be caused by material you may have flushed down the toilet for example. It can also be caused by collapsing sewer lines under your home or out towards the street. Many times, we find tree roots that have penetrated older sewer lines and clog the line. In serious cases, the city may have to clear the sewer line if it is located on the city side of your property line. We can help you with all your Drain and sewer Cleaning in Queen Creek, AZ. needs. Call us now to make an appointment. Don’t wait until the problem becomes worse. Call now.